Lawmakers gave final approval March 29 to a bill making it a criminal offense to threaten someone with a text or email message. Previously, a person committed the offense of intimidation by telephone call if he or she telephoned someone with the intent to terrify, intimidate, threaten, harass, annoy or offend. 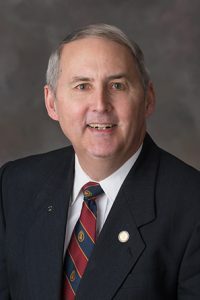 LB773, sponsored by Sen. Robert Clements of Elmwood, amends the law to include intimidation by electronic communication, such as a text message or an email. It also removes the terms “terrify,” “annoy” and “offend” to address a possible conflict with the First Amendment. The offense is a Class III misdemeanor with a maximum penalty of three months in prison, a $500 fine or both. As amended, the bill also updates Nebraska law to reflect new payment card technology and makes it a crime to possess a scanning device or encoding machine with the intent to use it to obtain information encoded on a card without authorization from the card’s user, the card’s issuer or a merchant. Senators voted 47-0 to pass the bill.